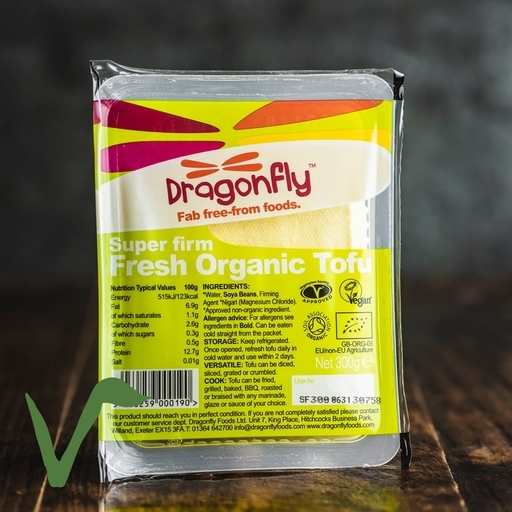 Natural organic tofu made by Dragonfly, just down the road from our farm in Devon. Versatile and healthy, tofu (bean curd) absorbs seasonings and marinades brilliantly. Comes as a block, so you can cut it to the size you like. A great alternative to meat in stir fries, curry and salad. Tofu is also brilliant tossed into a stir-fry. One of our favourites is to wok it with broccoli florets, garlic, ginger, sesame oil and soy sauce. Nigari has been recognised as being the very best coagulant for making tofu, adding a distinctive flavour as well as a wide range of trace minerals in a highly absorbable form. It is a white powder produced from seawater from which the water has been evaporated and the salt has also been removed. The name comes from the japanese word for bitter.